On the days I am extremely busy, and I know I won’t have much time to make dinner, I’ll throw together this Crock Pot Pork Chops & Gravy. It seriously took me less than five minutes to put it in the crock pot and to turn on. Ten minutes before my family is ready to eat dinner, I’ll make rice in the rice cooker and steam some vegetables. My kids ate up this dish. Thanks to my sister-in-law for this time-saving recipe. 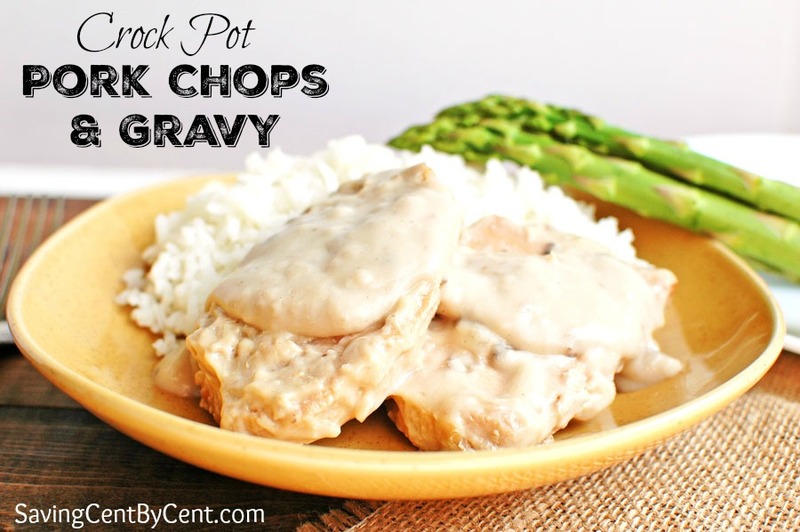 Place pork chops in crock pot. Pour cans of cream of mushroom soup over the pork chops. Cook on high for 4-5 hours or low for 6-8 hours.